The light and airy tones of the Beech in this Prima home study will help you clear your mind, making work a breeze. With spacious solutions and a natural, refreshing charm, you’ll discover the serene and productive space you’ve always wanted. 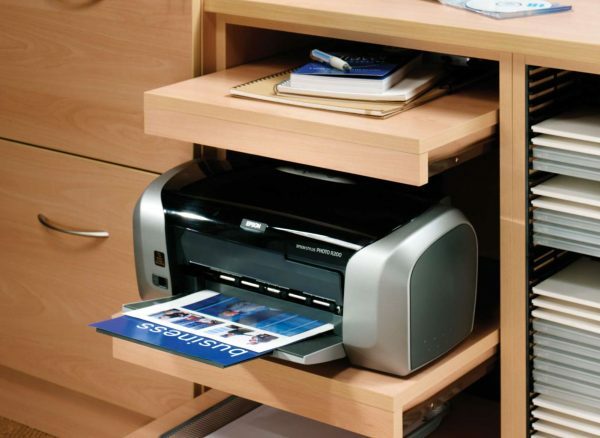 From the desk area to the elegantly deep drawers and clever slide-away printer shelf, we have thought of everything you could need to create the perfect functional fitted furniture. 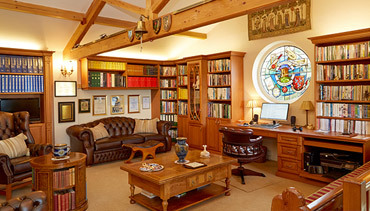 If your home office has a sloping ceiling or unusual layout, Strachan can help make the most of it. 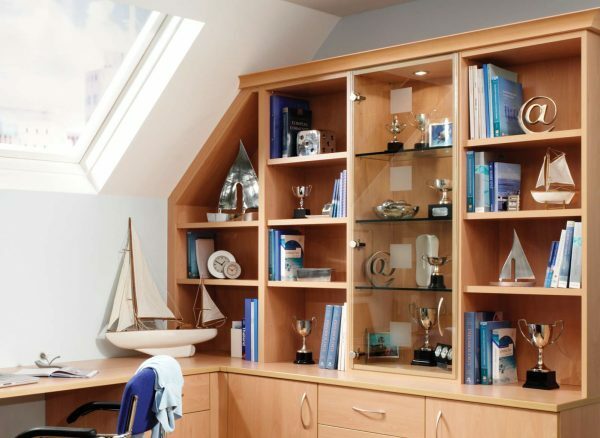 Our bookcases can be made bespoke to fit flush against angled walls, providing additional storage while complementing your home's unique character. 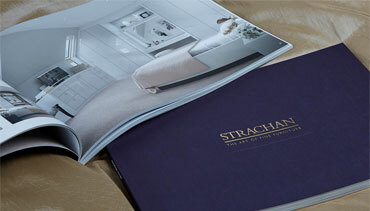 Ask our expert designers how we can use beautiful designs to utilise every inch of your space. 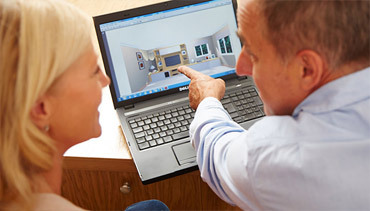 Discover clever solutions that are discreetly built into your fitted furniture design. This Prima desk in a light Beech finish boasts a number of different features, including a slide out tray for technology and stationery along with a vertical CD rack to the side of the seating area. Each configuration is made unique to complement your professional needs. Say goodbye to tangled cables and messy wires. All our desks can be fitted with convenient pop up power docks in a position of your choosing. 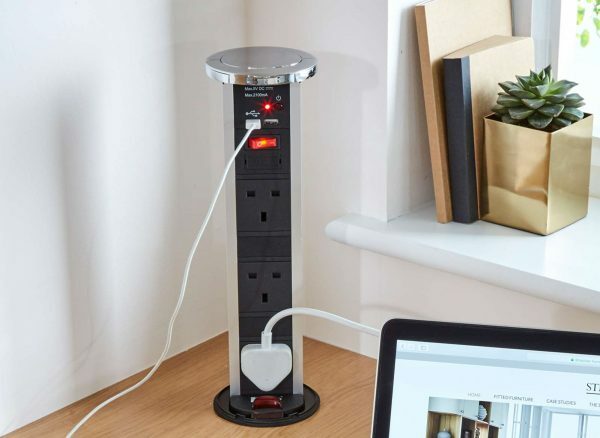 You'll no longer have to worry about wasting time bending behind the desk to reach sockets. Simply plug in your devices with none of the fuss.